I fell in love with this suite of goodies the moment I saw it! There are some beautiful papers in the DSP pack and I love the little embossing folders! (There are two designs in the pack). For this card I used the letterpress technique with Night of Navy ink on Crumb Cake cardstock. I added one of the gorgeous Classy Designer buttons (carrying over from the current catalogue) that we were given at On Stage and I would have loved to have threaded it with the new Night of Navy Solid Bakers Twine! 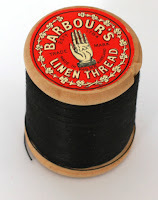 Instead, I hunted through the sewing box I inherited from my mother and found a gorgeous old reel of Button Thread. It's the wrong colour but, feeling sentimental, I used it anyway! I hate to think how old it is! For this card, I embossed a piece of Night of Navy cardstock and then used a sponge dauber to rub Whisper White Craft Ink over it. The little matching stamped flower is from a stamp set that I received at On Stage, called Love & Affection. It doesn't show in the picture, but I added clear Wink of Stella to the petals and gold Wink of Stella to the centre. I punched it out with a 1 3/8" circle punch. Thank you for visiting today. 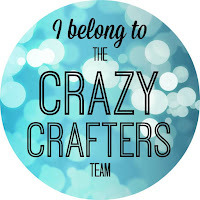 If you click this link - it will take you off to see wonderful projects from other members of the Crazy Crafters Team - they're very talented so it's really worth the visit! You can also vote for your favourite projects and find out who won last week (7.30pm AEST 22/4/16 to 29/4/16). Thanks, Gail. Yes, I have to agree - it's great DSP and this isn't even my favourite! This is a great idea. 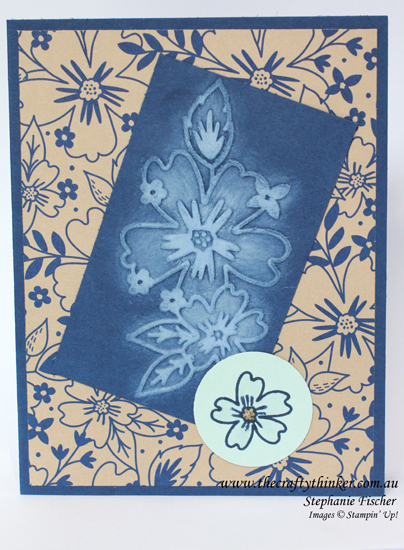 The flower emboss folder is a good size to do this technique. Awesome card, Stephanie. I love the colors and the technique you used sponging the white ink and the embossing folder. I'm loving the "sneak peeks" we're getting. Thank you so much for your comment - I love your feedback!